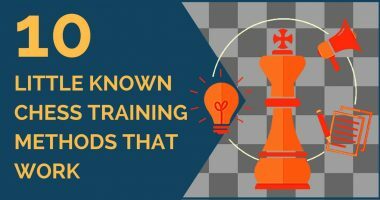 However, you have probably already discovered by now that there are no rules in chess; it all depends on the position you have on the board. The same happens with backward moves and something we have known forever to be bad can turn into a devastating resource. 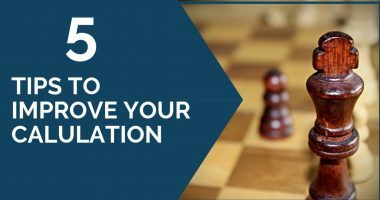 The reason why we have chosen to talk about this type of moves in this article is that they are not always easy to spot. We believe that one of the reasons why this happens is that our brain is not trained to look for such moves. After all, we have spent most of our life as chess players trying to gain space and play forward. 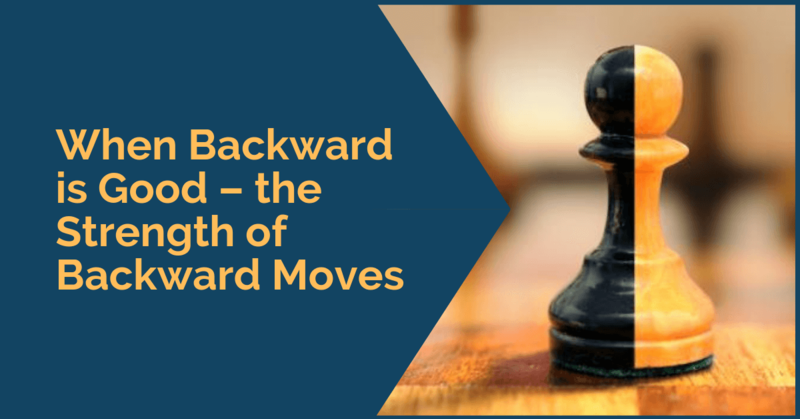 We sometimes reject backward moves almost automatically, without even giving them a chance by calculating a few more moves. White has just played 31. Rff6, threatening to win material. The position looks difficult for black and indeed he has an only move here, but a very strong one, which not only turns the game in his favor but gives him a completely winning position. Then right way to continue here was 31…Na7! A backward move that defends all the threats and forces the transition into a winning game. Black has two pieces for the rook and his position looks superior, but he still has to do some work before bringing home the full point. First of all, he needs to improve the position of his pieces. In the current position, both bishops are passive, while the knights look slightly awkward, though they are placed on central squares and are ready to jump into White’s position. 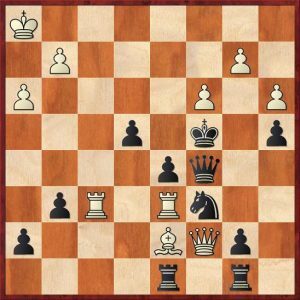 Another important thing to notice in the position is that white’s king is weakened and black could try to use this to his advantage. 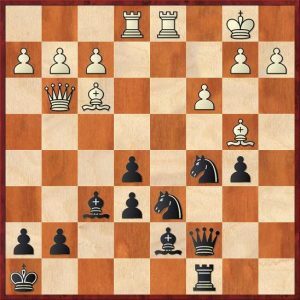 Considering all these things, the best move for black becomes clear in this position – 24… Be8! Bring all the pieces in the attack is one of the most important concepts of the attack and this is what black is going to do. The bishop is headed to g6, from where it will create dangerous threats against the white king. In conclusion, backward moves are not always bad and they can sometimes be the answer to our problems. They can be difficult to spot, but the good news is that this is a skill that can be trained. Look for exercises or games and add them to your training routine; in time you will get used to also include this type of moves in your search for candidates and this will make your life easier in tournament games.